CSols, Inc. Webinar: CSols, Inc. Webinar: “Paperless Lab” is a popular phrase being tossed around - and generating interest to achieve it - but there are many questions you must ask before diving it, like: Can you truly eliminate all paper in the lab? And should you? This webinar will answer these questions and more. The City of Charlotte intends to procure a new Laboratory Information Management System (LIMS) solution to support lab operations within the Charlotte/Mecklenburg Utilities Department (CMUD). 06/10/2014 - Blaze Systems Introduces A PreValidated Offering Of Its BlazeInventory Hosted SaaS Product for GxP Laboratories. Today Blaze Systems announced the introduction of its hosted SaaS BlazeInventory product in a pre-validatedoffering for GxP laboratories. 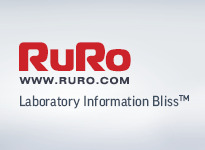 BlazeInventory manages and tracks laboratory materials including samples, reagents, standards, parts and consumables. In addition BlazeInventory offers high value functionality to also manage instruments, documents such as SOP's, and the creation and tracking of reagents and lab standards via ELN functionality. 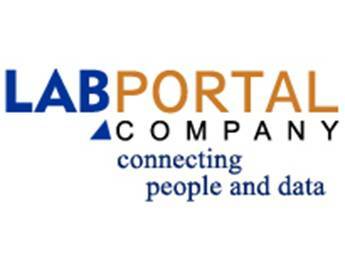 According to a new market report published by Transparency Market Research "Laboratory Information System Market (Application Based- Clinical Diagnostics LIS and Drug Delivery LIS; Delivery Based- Web Based Technology, On-premise Technology and Cloud Based Technology; Component Based- Hardware, Software and Services) - Global Industry Analysis, Size, Share, Growth, Trends and Forecast, 2013 - 2019", the global Laboratory Information System market was valued at USD 1,381.4 billion in 2013 and is expected to grow at a CAGR of 7.7% from 2013 to 2019, to reach an estimated value of USD 2,158.0 billion in 2019. Affymetrix and BioDiscovery, Inc. today announced the launch of a new analysis software, Nexus Copy Number for Affymetrix, which is specifically for data generated by Affymetrix’ genetic analysis platforms in cancer research, including CytoScan® Cytogenetics Suite and OncoScan® FFPE Assay Kit. LabLogic today announced it has completed the implementation process of the PET LIMS system, PETra, within the PET manufacturing facilities of Triad Isotopes, Inc. PETra technology represents the latest in PET LIMS systems, incorporating all of the PET productions processes that improve efficiencies, while simultaneously offering a simple solution to maintaining compliance with the requirements of 21 CFR Part 212. 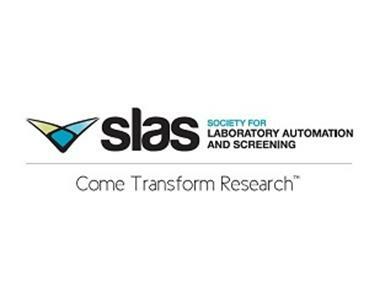 The Society for Laboratory Automation and Screening (SLAS) announced the formation of its Americas Regional Council. 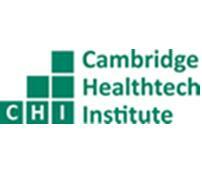 Made up of seven life science research and development professionals, representing both technology users and providers, this Council is chartered to provide leadership and guidance to the Society’s activities and operations in the Americas. Adopting modern LIMS systems that can provide insurance for environmental laboratories. Nobody likes to pay for certain types of insurance until they need it – especially home, auto, life etc. But in the environmental sector, there is a type of insurance that is often utilized and is valuable even if the results aren’t being legally or scientifically challenged. The Object Management Group® (OMG®) is pleased to announce that it will be holding the Model Based Systems Engineering (MBSE) in Healthcare Summit at the Omni Parker House in Boston, MA. The summit will take place on Wednesday, June 18thand is being sponsored by IBM. EDKM is the only meeting in the US that provides answers and real user case studyexperiences in laboratory informatics systems. Although the pharma industry have been implementing these systems for over 15 years, other industries such as food and beverage, fast consumer goods and cosmetic industries have also started to implement these systems into their laboratories with the hope of not only becoming a ‘paperless lab’ but to manage their data in the most effectiveand efficient way possible. Leaders in industry and research will examine the challenges and solutions in collaboration to streamline drug development at the DIA 2014 50th Annual Meeting at the San Diego Convention Center from June 15 to 19. This premiere event comes backed by 50 years of Laboratory Equipment® expertise and leadership in the laboratory market. The Lab Trends Conference will focus on: Pharmaceutical, Food & Beverage, and Environmental Laboratories. The Lab Trends Conference offers unmatched opportunities to learn from and network with knowledgeable industry professionals who are attuned to the needs and challenges faced by researchers, scientists, and engineers.